“SPECIES” the-intercollegiate competition organized by the Department of Zoology had a humble beginning about a decade and a half ago. This was organized as an annual affair even before a central committee on departmental festivals was set up. We, the students and the faculty had chalked five events for Species-2013. The events are as follows: Crossword, Dumb charades, Photography, Pick and speak, and Quiz. disorders from NIMHANS were also on display. A live glass beehive and an aquarium were also additional attractions. The guest colleges participated in Species-2013 were: Jyothi Nivas College, Garden City College, Vijaya College, Basavanagudi, B M S College for Women, SSMRV College, RJS College, NMKRV college for women, Jayanagar, Garden City College, Oxford College, Al-Ameen College, M E S College Malleshwaram and Kristu Jayanthi College. The event ended with a talk by Dr Harish Bhat, a Biodiversity expert from IISc, Bangalore and various colorful cultural programmes by CBZ/ BCZ students. A sense of togetherness and team work developed among the volunteers, which percolated even after the festival was over. We are sure that the guest participants also had a feeling of fellowship and learnt something during the festival. It was, and is encouraging to acknowledge the unstinted support of the management through all these years. We hope that the spirit of competition, camaraderie and co-operation will continue through “SPECIES”………………..
Every year the 26th of June is observed as the International Day against Drug abuse and Illicit Trafficking. This year the theme was “Make health your ‘new high’ in life, not drugs”. The rally was a collaborative effort by the Narcotic Drug Cell, Crime Investigation Department, Bengaluru and Kripa Revival Centre, Bengaluru -a NGO working in the area of drug rehabilitation. The objective was to create awareness among the public against the consumption of drugs.The chief guests for the event were Bhavana Reddy, Adihya and Pooja Gandhi , popular actors from the Kannada entertainment industry. As a part of its commitment to community initiative and service, Christ University supported the cause by participating in the event.64 undergraduate PSEng (Psychology, Sociology, English), Honours (Psychology) and postgraduate students of the Department of Psychology volunteered to participate in the rally.The rally commenced at 3.00 pm, and involved a 1- km awareness walk from the Police Wireless Headquarters on M.G. Road. The students were provided with placards, stickers, caps and t-shirts with slogans. The event was covered by the media and broadcast by local news channels and reported in various newspapers. The department and the students will receive certificates of appreciation in recognition of their support. The ECE/EEE association CUESTIC has scheduled a week long intradepartmental technical and non technical events called "Source Code-2013".The inauguration of the same was done on 17/08/2013 at I block Auditorium. 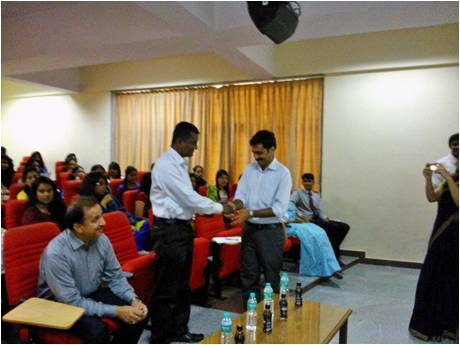 The chief Guest of the day was Dr.Abraham George, Group Manager, RF test and Measurement division, National Instruments. He delivered a Technical talk on the topic 'Wireless Network Evolution and Emerging Trends'. 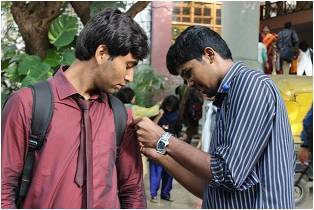 ‘Sambandh’ is the annual festival organized by the Department of Sociology, Christ University. Being one of the most colorful events, students eagerly await this festival that is held in the even semester of every year. The word “Sambandh” literally translates into relationships and as students of sociology the festival increases our scope to explore the dynamics of the social relationships we as individuals are tied to. Sambandh-2013 was held with more grandeur and fervor. 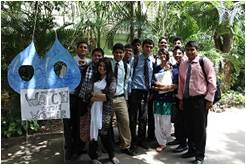 The theme for this departmental festival was “Water for life”. This was in accordance with the United Nations theme and gained a wider attention than ever before. The month of august hosted various events for students from the under graduate, organized by the post graduate students. The events included- newsletter making, quiz, creative writing (poem, essay and comic strip) and photography. Students from across various combinations participated enthusiastically. Alongside winning, students wanted to acquire points for the class so as to secure the class trophy. The major event of the festival was a panel discussion that was held on August 23, 2013. The panelists included various scholars who had immense theoretical as well as practical knowledge about the subject. Very informative, interesting and thought-provoking were some of the feedbacks students gave. The panel discussion was followed by an interactive session in which the students could vent out their opinion and ask their queries. This was followed by a cultural programme in which students showcased their dancing and singing skills to various tunes, lightening the atmosphere among the audience. The most awaited and exciting part of Sambandh 2013 was the prize distribution ceremony. At the end of which the overall class trophies were announced. This was secured by the first year EPS students. Thus, sambandh-2013 came to an end with mixed emotions. While the final year students remorse their last such event on campus, the fresher’s were enlightened with hope and motivation to look forward for the coming years. But definitely Sambandh achieved its objective of kindling the spirit of togetherness among students and also enlightening the students in the academic forefront. The Inauguration of the Psychology Association of the Department of Psychology was held on 22 July 2013. The Psychology association is a student body comprising of representatives from all the undergraduate and postgraduate Psychology classes. The association is guided by faculty members and aims to promote curricular and extracurricular activities related to Psychology. The governing body of the association consists of a president, vice-president, secretary and treasurer. The office bearers of the Psychology association for the academic year 2013-14are: NehaMoopen (President), Priyanka M. B (Vice-president), Kavya Reddy (Secretary), Dhwani Sheth(Treasurer).This was followed by the investiture of the class representatives from all the undergraduate and postgraduate Psychology classes. The action plan of the Psychology Association for the academic year 2013-14 was presented by the secretary. · Research paper presentations for third year undergraduate students. Following this Prof. Mallika Krishnaswamy, Dean of Humanities and Social Sciences, emphasized on the need for professionalism in curricular and extracurricular activities and encouraged the students to consider these activities as a major part of their education. The chief guest for the programme was Dr. Sheela Julius, former Head of Department of Psychology, Women’s Christian College, Chennai. 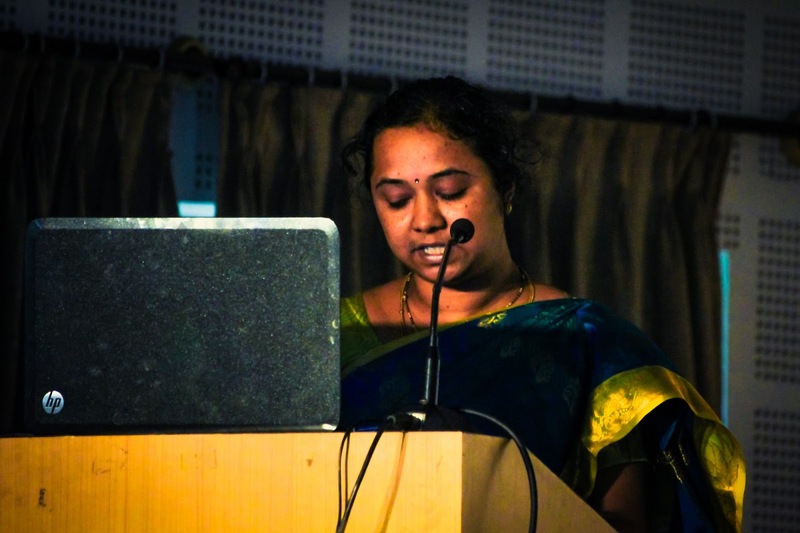 She is currently heading the Department of Counselling in the Madras School of Social Work, Chennai. In her address, she motivated the students to develop soft skillssuch as effective communication, problem solving, initiative, ability to work under pressure, organizational skills, team work, ability to learn and adapt, numeracy skills, valuing diversity and negotiation skills. She explained the relevance of possessing such skills and their value in enhancing the employability potential. On the whole the event set the tone for the students of Psychology to be enthusiastic and productive and work together under the leadership of the new office bearers, in the academic year ahead. 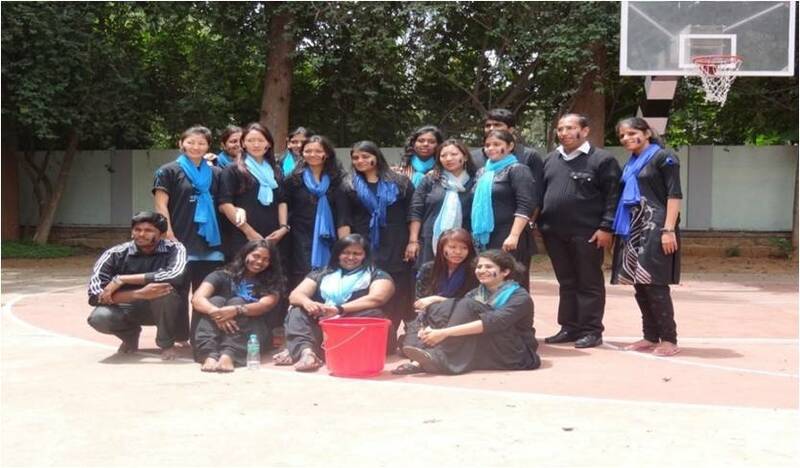 The 1st year students of Masters in Social Work 2013-15 s organized a campaign with the support of Centre for Social Action on 30 July, 2013 for spreading awareness on water management in Christ University campus. The objectives of the campaign were to create awareness amongst the students on the importance of water and the need to use water wisely and conserve it for future utilisation. The campaign began at 8 a.m. and lasted till 4 p.m. To conduct the campaign efficiently, the members were divided into four dynamic teams. Each team had the responsibility of. 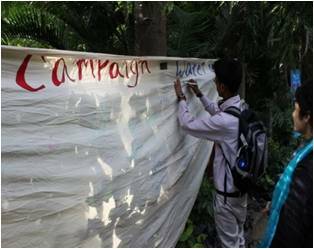 Through creative ideas and teamwork the students put up stalls and imparted information regarding conservation of water . 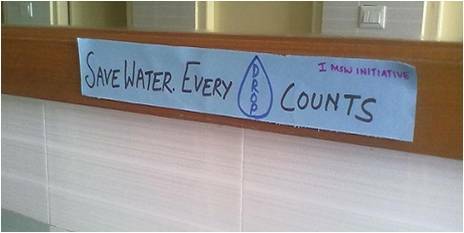 The publicity team made 90 caption stickers stating, “Every drop counts save water” and pasted it on the washroom doors of Central block, Block I, Block II, Block III and P.U.C Block. The team came up with the idea of making water droplets out of ribbons and pinning it on the shirts/kurtis of the students when they entered the college campus, which was carried out with much enthusiasm by all the members. Apart from this, the first stall near the main gate was set up by the team which had a ‘caption box’ for students to write captions/slogans and also displayed posters on the consequences of wasting water, statistics on the rate of water depletion and ways to conserve it. The second stall was signature campaign booth. The main objective of this part of the campaign was to show how many people actually understand the importance of conserving water and have come forward to support the cause. 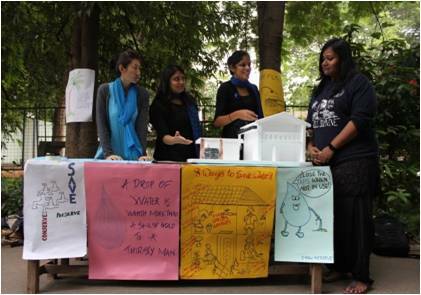 The team prepared a model of rain water harvesting and water filtration process for houses in urban and rural settings. The members explained the functioning and effectiveness of the model to the students. The photography team had set up a photo droplet studio. It had posters displaying how valuable each drop of water is. Students got their pictures clicked in the studio to show their support for the campaign. All the members of Group I participated in the street play. The play depicted the use, overuse and misuse of water, the urgent need to stop wasting it and the negative effects it would have in the long run. 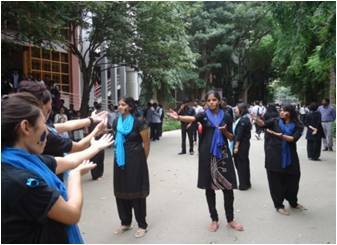 Mr. Vinay from CSA and Mr. Prashant helped the members in the execution of the street play. The play was firstly enacted in front of the P.U.C. Block at 12p.m. and secondly in basketball court at 1:15p.m. The members were successful in keeping the interest of the crowd throughout their performance at both the venues. The group was successful in executing the plans and organising the campaign. The members had a good time, but also worked under pressure during the pre-planning, planning and execution stage. The team was well coordinated and cohesive in each step. They were energetic and ready to take up any challenge. The campaign provided a platform where the members learnt to communicate information effectively, enhance their strengths and analyse their weaknesses and overcome them. The Kannada Sangha in Christ University released its two twenty seventh publication “Aartha” on 24th July 2013 in the university campus. It was a Marathi book translated to Kannada by renowned writer and translator Mr. Chandrakantha Pokale. Prof. O L Nagabhushanaswamy a famous critic was the chief guest of the function. Dr. Vikram Visaji, a young professor of Kannada at Central University, Gulbarga spoke about the book. Vikram Visaji said that Chandrakantha Pokale is one of the best and experienced translators in contemporary Kannada literature. Speaking about the book he said that stories in this collection such as Shradha, Sankramana, Roots and Janma voice out a sense of suffering. Therefore the title “Aartha” is appropriate. Feelings like lethargy and despair that are usually found in families are mirrored through these stories. Around fifty to sixty questions that examine life are asked reflecting the writer’s technique of storytelling. 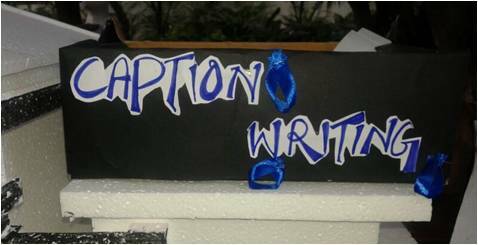 Nagabhushanaswamy the Chief Guest spoke about the true essence of literature and its use. He called upon the youth to cultivate the habit of reading and critically analyzing it. He also said that reading serves for delight. Then talking about the book he quoted that “Every act of understanding is an act of translation” and Pokale has translated it very well. Complimenting Christ University Kannada Sangha and its work he said that, it stands different and unique when compared to other colleges. Chandrakantha Pokale, the translator of the book and renowned author shared his experience and spoke about why Marathi literature attracted and influenced him. He observed that Marathi literature can boast of several women writers who represent a sound writing culture. Meghana Peti, Priya Tendulkar, Gowri Deshpandhe, Kamala Desai and Monica Gajendragadkar among others portray the problems of families from cosmopolitan and metropolitan contexts. Fr. 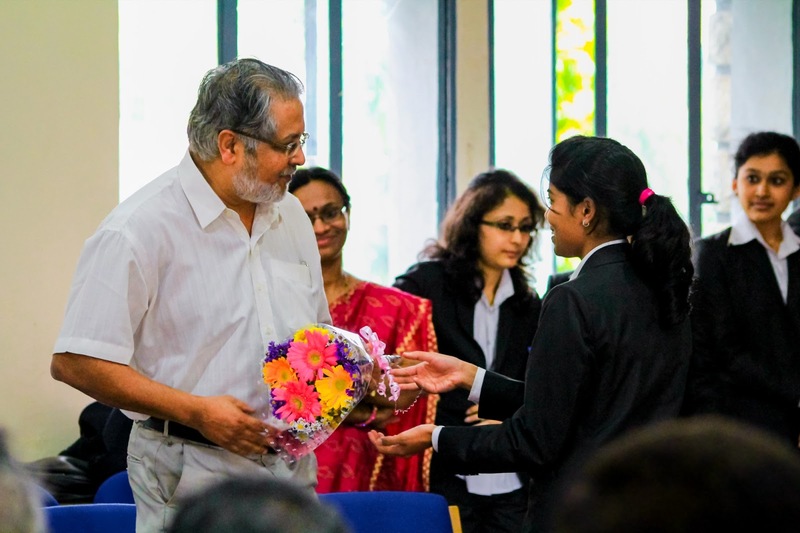 Varghese who presided over the function spoke about the essence of literature in one’s life. A report of this function appeared in Praj Vani and Vijay Karnataka newspapers the following day. The inauguration of Biotechnology Association was also one such event, that marked the advent of a journey, which will span throughout the year, to facilitate all the events of the Department of Biotechnology and help the students have an enriching learning experience. 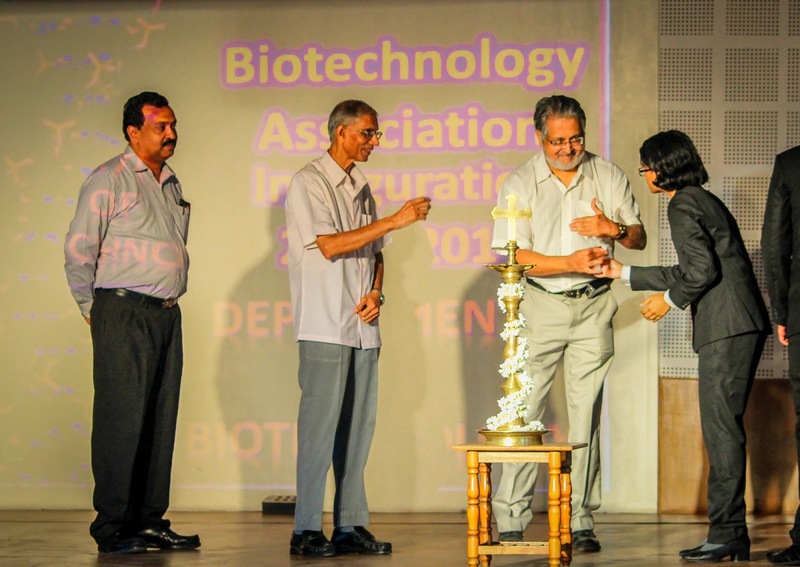 As part of the activities of the academic year 2013-14, the Department of Biotechnology formally inaugurated their Biotechnology Association, chaired by Prof. Vasantha V. L –the President of the Association. Saranya Jayaram of III BSc BCZ was elected as Vice President and K. Karthik of III BSc BCB was elected as Secretary. Along with these members, the other core members of the Association were also officially announced. This formal inauguration of the Association was also a wonderful opportunity to put forth an interesting talk on the subject, which could captivate the students and could open avenues for their further studies. Dr. Ravi Nayyar – Dean, HCG Hospitals, Bangalore inaugurated the Association. 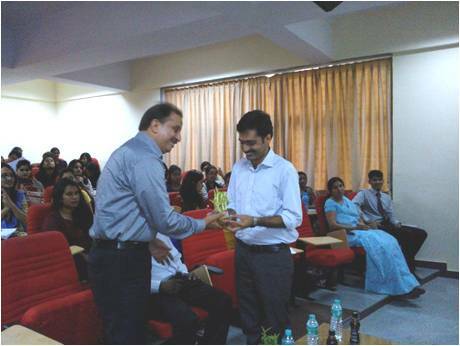 The Dean of Sciences, Prof Nanjegowda and the Associate Dean of Sciences Prof Louis George were graced the occasion. Dr. Ravi Nayyar, an exemplary orator delivered an effective talk on “The General Science of Oncology”. This talk was motivating and helped channelize the young minds into the direction of Research. All in all, the Inauguration of the Biotechnology Association was a well organised event, which fuelled the young minds to journey through a year that is eventful and enriching. 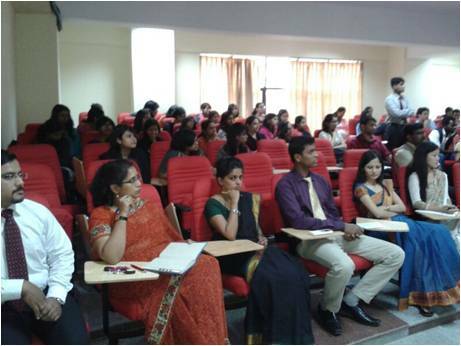 The Department of Social Work conducted a seminar on Human Resources Development systems on 25th July 2013 from 10 am to 1 pm. It was attended by students of Psychology, Sociology, Business management and Social Work specializing in Human Resource Management. The speakers consisted of Mr. Suresh Michael from Bharat Electricals Limited; Mr. C R Murali from Institute of Leadership Development and; and Mr. Praveen Kamath from Wipro Technologies. Mr. Michael and Mr. Murali focused on Human Resource Development systems. While Mr. Michael focused on Human Resource Development systems and their evolution in BEL over the past 19 years, Mr. Murali was able to provide a more macro perspective of HRD systems currently existing in industry. Mr. Kamath focused on the changing face of industry today-incorporating globalization and the need for added skills like language, additional software, analytical skills, etc for improving one’s professional profile. Each speaker was allotted one hour and they welcomed questions from the audience. All the three speakers encouraged interactive sessions. The seminar provided valuable practical knowledge of Human Resource Development systems and was enjoyed by all. As part of the MFM activities on financial consultancy, every year financial literacy related progamme will be organized by the department of management studies in the month of July under the banner, Investors Information Cell (IIC). 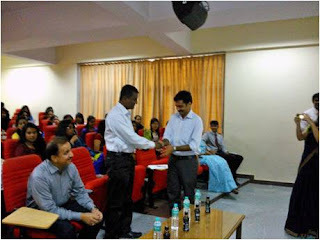 This year the programme was scheduled on 26 July,2013 on the theme Investment awareness. 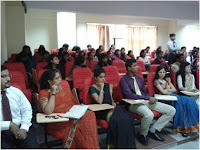 The programme was inaugurated by Prof.Suresha B, Academic coordinator, MFM at 9.00 am. More than 350 people visited the camp and discussed on various financial instruments useful for tax planning, retirement and estate planning. The visitors include people from corporates, faculty members and students of non commerce stream.